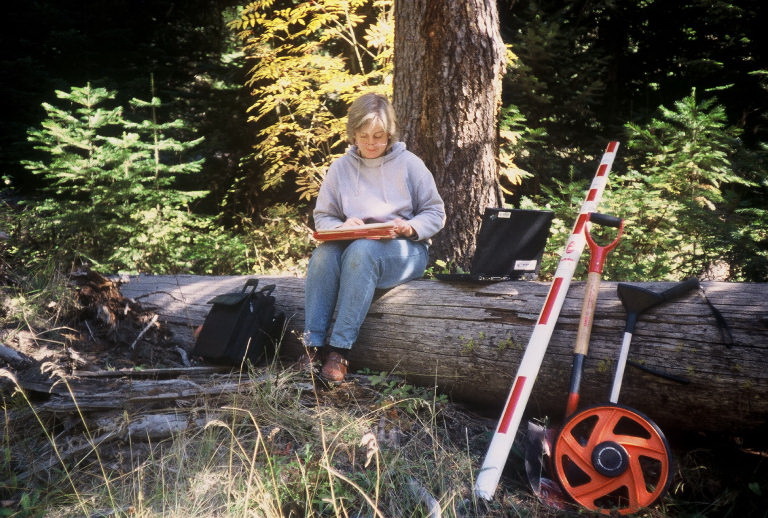 An interview with Dr. Mary E. Kentula, Wetland Ecologist at the United States Environmental Protection Agency National Health and Environmental Effects Laboratory’s Western Ecology Division in Corvallis, Oregon, USA, and Associate Professor (Courtesy) at Oregon State University USA. Urban Wetlands (UW): Can you first briefly explain to us what “wetland assessment” is and how it differs from “wetland monitoring”? Mary Kentula (MK): Wetland monitoring and wetland assessment are separate, often related, activities. Monitoring is a check or measurement of some aspect of the ecological status of a wetland or group of wetlands which can occur at regular intervals over a defined period of time. Assessment is the use of monitoring and/or other information to evaluate an aspect of the ecological status of a wetland or group of wetlands. Assessment can occur outside of a monitoring activity (for example, as a one-time evaluation of a site), while monitoring typically does not occur without assessment because assessment tools are used to gather monitoring data and evaluation of data is done. UW: USA is a country that pioneered wetlands assessment. As I understand it is a statutory requirement for wetland management in some states. As a leading wetland scientist in the US can you explain this history a bit? MK: In my experience, a major impetus for the growth in wetland assessment in the United States (US) is tied to the 1972 Federal Water Pollution Control Act, better known as the Clean Water Act (CWA). Section 404 of the CWA created a program that requires a permit from the US Army Corps of Engineers for the discharge of dredged or fill material into waters of the US, including wetlands. In making these Section 404 permit decisions, the Army Corps uses environmental criteria developed by the US Environmental Protection Agency (USEPA). The permitting process required under Section 404 necessitates (1) evaluation of the current ecological condition of wetlands or other waters to be destroyed or altered, (2) evaluation of the proposed direct, secondary, and cumulative impacts to these aquatic resources, and (3) consideration of wetland or other aquatic resource restoration, establishment (i.e., creation), enhancement, and/or preservation to offset any permitted loss, commonly known as compensatory mitigation. As a result, a number of wetland assessment methods were developed for use in the permitting process. One of the earliest and best known assessment methods was The Wetland Evaluation Technique developed by Dr. Paul Adamus in 1983 for the US Federal Highway Administration. In 1999, Candy Bartoldus catalogued 40 such wetlands assessment methods in use across the United States, and the number of such assessment methods has continued to grow over time. Recognition of the importance of wetland monitoring and assessment in the US was marked in 2011 by the completion of the first National Wetland Condition Assessment (NWCA) by the USEPA. The NWCA is part of the USEPA’s National Aquatic Resource Surveys in which the aquatic resources of the conterminous US are assessed every five years. The field work for the second NWCA was completed in 2016. UW: What factors caused the relevant state agencies to recognize and incorporate wetland assessment into their mainstream practice? MK: The US Clean Water Act requires states to report biennially to the Congress and public about water quality conditions in the United States. Tribes are exempt from this reporting, but are encouraged to participate. Unfortunately, wetlands are rarely included in the reports. However, the requirement for reporting and financial support from the federal government has created a capability and interest in the states and tribes for monitoring aquatic systems. As a result, fourteen states have a formal wetland monitoring and assessment program and an additional nine states are working on developing their state wetland monitoring and assessment programs. Some states have gone beyond the federal requirements and have comprehensive monitoring and assessment programs, including wetlands. In addition, the USEPA’s National Aquatic Resource Surveys are implemented in collaboration with the states and tribes, in part, to advance the development of state and tribal monitoring and assessment programs. UW: What would you name as the key theoretical and technical developments in wetlands assessment? And to what degree are these advances effectively translated into practice? MK: I think the two most important theoretical developments in wetland assessment were the creation of the Hydrogeomorphic Approach to wetland assessment by Brinson, and the promotion of a hydrologic landscape approach to wetland management and ecology by Winter and Bedford, and demonstrated by Wolock, Winter, and McMahon. These works emphasized the primary drivers of wetland ecosystems—hydrology, geomorphology, and landscape position. Up until this point, most of the wetland scientific literature and management approaches had focused on specific functions, e.g., habitat for important species, water quality improvement being performed by wetlands and its contribution to the improvement of the ecological condition of other aquatic resources. The innovation of the work of Brinson, Winter, and Bedford was to emphasize a systems approach that highlighted the importance of hydrology, geomorphology, and the characteristics of the landscape to the provision of the specific ecological functions and services a wetland performed. This work also explained why commonly used approaches to wetland creation and restoration were not consistently replacing the ecological features of the wetland lost to development. Furthermore, at times, wetland creation and restoration approaches led to the degradation of wetland resources in an area, e.g., see Kentula et al. and the answer to question 5. These pioneering efforts stimulated a proliferation of technical approaches to wetland assessment with a specific purpose, like assessing wetland functions (e.g., Smith et al. ), biological integrity (e.g., Brooks et al.) and landscape indicators of wetland ecological condition (e.g., Mack). This proliferation of methods created the challenge of determining which tools to use, where, and when to protect wetlands in the most effective and least costly manner. In response to this need, the USEPA implemented a group of studies to test and demonstrate what is known as the 1-2-3 Approach to selecting methods for monitoring and assessment based on management objectives and information needs. The Approach is composed of three types of methods each requiring a different level of effort and producing different information. Level 1, the most general method, is an assessment of the entire unit of the landscape being considered for the management action, using only generally available maps and photography. Level 2 employs rapid methods that produce more detailed information than Level 1 (e.g., lists of stressors found in the wetland and in its immediate vicinity) and requires data collection in the field. See Fennessy et al. for a review and discussion of rapid assessment methods. Level 3 uses the most intensive methods to collect data on the biological, physical, chemical, and hydrologic attributes of a site. A widely-used Level 3 method is the Index of Biological Integrity (IBI). An IBI is an index composed of metricsthat mathematically integrates a range of attributes of the biological assemblage being assessed. IBIs have been used in assessments of streams since Karr proposed the approach in the 1980s. More recently, IBIs have been included in wetland assessments, especially IBIs based on vegetation. For a review of wetland vegetation IBIs see Mack and Kentula. Also see Chapters 5, 6, and 7 in the NWCA Technical Report for details on the creation of a wetland vegetation IBI for use at continental and regional scales. Methods from each level can be used independently or in various combinations to take advantage of the unique types of information collected by each. See the Special Feature: Monitoring Wetlands at the Watershed Scale in the September 2007 issue of the peer reviewed journal, Wetlands, for a collection of papers from studies sponsored by USEPA, especially the papers by Wardrop et al. which present and compare results from all levels of the 1-2-3 Approach for the wetland resource in the Upper Juniata watershed in Pennsylvania, USA. UW: Is there a special significance for assessments in “urban wetlands”? Do you think that urban wetland assessments require special tools and skills? MK: I think the most vexing aspect of assessing urban wetlands is deciding on an appropriate standard or reference that provides an appropriate benchmark for comparison. In my experience, I can see the utility of three types of reference for urban wetlands. First, is comparison with wetlands in the region, watershed, or other landscape unit which allows for a comparison between urban wetlands and systems in a more natural setting, especially if one takes an approach similar to what is used in the USEPA’s National Wetland Condition Assessment (NWCA). In the NWCA the standards for comparison are the ecological characteristics of wetlands that are least disturbed. Least disturbed is defined as those sites with the best available physical, chemical, and biological condition given the current status of the landscape in which the site is located. For an example of how least disturbed sites can be identified from assessment data to identify a set of reference sites see Chapter 4 in the NWCA Technical Report. Second, is comparison with other urban wetlands. This type of comparison allows for the evaluation of urban wetlands in the context of other sites in an urban setting. These comparisons may lead to identification of best management practices effective in urban settings. Select and design the context of wetland restorations to be part of an experience with nature for visitors to the site. Design wetlands to maximize habitat values, especially for birds which are appreciated by many people. Design the plantings to be flowery and colorful while staying true to native ecosystems. These plantings should be concentrated in areas people will see often, while the interior of the site can be designed and maintained with traditional wetland plant communities and habitat in mind. Design to take advantage of pleasant views including those with open water when it is part of the wetland. Anticipate the need for maintenance over the long term and for the necessary resources to do it. In regard to the need for special tools and skills to assess urban wetlands, I think it is especially important to understand the ecological drivers of urban wetlands in terms of the Hydrogeomorphic Classification (HGM) developed by Brinson. In the case of my research team’s study of wetlands that were created, restored, and/or enhanced as a permitting requirement for development in the Portland, Oregon, urban area (hereafter, wetland projects), the results didn’t make sense until we recognized that the wetland projects were a hydrogeomorphic-hybrid that didn’t naturally occur in the landscape. Once we figured out the HGM classification, it was clear that the projects differed from naturally-occurring wetlands in terms of key ecological features such as hydrology, soil characteristics, and plant species composition. This means the hybrids function differently from the naturally-occurring wetlands. For example, because most of the hybrids were designed to contain deep, ponded water throughout the dry season in western Oregon, they do not provide the flood storage capacity of most of the naturally occurring wetlands which would dry out and have room to store water when the rainy season began. Along the same lines, native species that have evolved with the landscape may be displaced when habitat favorable to exotic, often nuisance, species is increased. The decline of native amphibians in western Oregon has been associated with predation by the introduced, invasive bullfrog (Rana catesbeiana Shaw), which required perennial standing water to reproduce. As mentioned above, standing water is rare in western Oregon in the summer, but has been increased over time because of the creation of the hybrids. UW: What is the current status of urban wetlands assessment in the US? MK: Urban wetland assessment is currently getting much more attention than when I started studying them over 25 years ago. I am impressed with the approaches being used and the questions being posed. For example, Felson and Pickett recommend integrating rigorous ecological experiments with the design of urban spaces to create research opportunities throughout the urban environment. They also emphasize the importance of designing such experiments in the context of a partnership between ecologists and urban designers and to take into account projects that would be socially and politically desirable. Moreover, ecologically inspired urban design can foster strategies such as improving resilience to impacts of natural disasters and can promote improved ecological function, economic gain, and marketability. An example of how assessment of urban streams and the associated floodplain (i.e., most likely wetlands) can inform restoration and the provision of ecosystem services is the work in the Baltimore, Maryland USA area by Kaushal et al. They tested whether geomorphic restoration to reconnect the stream to its floodplain could increase rates of denitrification in the riparian-stream interface and, thus, decrease nitrogen loading and eutrophication of nearby coastal regions. Their results suggested that reconnecting stream channels with their floodplain can increase denitrification rates, but cautioned that there can be substantial variability in the effectiveness of various restoration designs. More recent research by Newcomer et al. demonstrates the importance of specific design features in improving the effectiveness of restored streams to process and remove nutrient pollution. A recent review article by Palta et al. discusses “accidental” urban wetlands. Accidental urban wetlands are formed unintentionally by human activities and often have unique characteristics because of the nature of their formation. They are widespread in urban landscapes, but are largely undocumented. The good news is that the functions, services and disservices of these wetlands are being studied and documented in the scientific literature. Finally, Ann Riley, who has done extensive work to daylight urban streams that had been put underground with culverts, has recently published a book on restoring neighborhood streams. Riley draws on her over 30 years of experience in riparian restoration to provide a history of urban stream restoration, an evaluation of what works and what doesn’t, and a view of what is possible going forward. While streams diverted to underground culverts retain some level of function, as more streams are placed underground in a watershed, there is more likely to be negative impact on the ability of streams to remove nutrient pollution (Beaulieu et al. 2015). All of the examples above include an element of determining the ecological status of wetlands, in other words, some form of assessment, thus demonstrating the important role of assessment in documenting and improving the ecological status of urban wetlands. UW: Is there a role for the community in urban wetlands assessment? Can wetland assessment become a citizen science? MK: There definitely is a role for the community and for citizen science in the assessment of urban wetlands. Throughout my career I have looked for opportunities to involve citizens in my research projects. For example, in a study of wetland mitigation projects in the city of Portland, Oregon, USA, the USEPA partnered with the Science Education Department at Portland State University to recruit teachers to be part of our field crews as a way to train them about sampling wetlands as well as to expose them to wetland and restoration ecology. The project was a great success with lots of learning by both the teachers and the USEPA researchers. One of the longer-lasting outcomes was the establishment of a number of cooperative science projects between school districts which involved wetlands. Having local teachers as part of the field crews also enhanced our ability to create interest among the citizens of the neighborhoods where sampling occurred. The Wilma H. Schiermeier Olentangy River Wetland Research Park in Columbus, Ohio, USA is an excellent example of myriad interactions possible at a wetland site designed and managed for research and public access. It also is the first urban wetland from the US named as a Ramsar site. The research and teaching component of Olentangy is done through The Ohio State University. The grounds are open to the public from dawn to dusk daily and are connected to the University and the City of Columbus by bike paths. In addition, Olentangy offers a variety of activities to the community like fish fries and evening lectures that provide opportunities for the scientists and students to introduce the public to the wetlands, especially the value of wetlands in an urban environment. UW: What are the key challenges in communicating the wetland assessment outcomes to urban planners and decision-makers? Do we need any intermediate steps in translating the “assessment language” for them? MK: I think the primary challenge in communicating wetland assessment or any scientific work to urban planners and decision-makers is remembering the audience. Scientists are concerned about and interested in the details, while the public and decision-makers want to know the “bottom-line.” I remember a colleague telling me about her first experience in reporting to a group of state resource managers. She had put together what she thought was a good, scientific talk, but was frequently interrupted by questions from managers wanting to know whether the results were good or bad. After she gave the managers the answer, they were more interested in the details of the evidence, especially when she framed those details in terms of “why should I care.” What my colleague learned was to begin her presentation to this type of audience with the “bottom line,” e.g., we assessed these wetlands and found most were in good condition; we also found indications of likely degradation in the near future. Once she got the audience’s attention with the results, the people were more interested in the evidence for the results and their implications. Scientists also have a unique language that uses terms and conventions that may cause confusion. For example, “positive trends” connotes good and “negative trends” connotes bad to nonscientists rather than a direction of change, while “bias” connotes an unfair and deliberate distortion or a political influence. So, in short, we scientists need to remember with whom we are communicating, as well as the audience’s interests and concerns. UW: As an urban wetlands researcher, what are the key developments you would like to see in wetlands assessment in urban areas in the near future– both in terms of techniques as well as legal and institutional provisions? MK: In the near future, I’d like to see urban wetland management and assessment routinely incorporated into a framework for addressing water issues. This sort of integrative task would require technical and institutional effort and, perhaps, legal action to cover what would be required due to having both public and private property involved. Because urban areas are fragmented into areas dedicated to specific land uses like residential, business, and industrial, the structure of the naturally occurring water system is likewise fragmented. It will take technical expertise to work out how best to retrofit the existing hydrologic system of the urban landscape to one that approximates the functioning of a naturally occurring system. Institutional efforts will be needed to shape and promote the effort. It will be especially important to highlight the benefits of a more natural hydrologic system in the urban setting and its surroundings to the public. One of the best examples of how this might work is the project being implemented by the Dutch to plan and execute an effort to prevent disasters through preparedness. Sea levels in Holland are projected to rise more than three feet by the end of the century. This prompted the Dutch government to rethink their traditional approach of walling out the water to, now, letting it in. The book Sweet and Salt: Water and the Dutch describes how the farmers of Overdiepse Polder agreed to give up their land so it could be used to store flood water from the nearby river to protect downstream cities and towns. In a similar example from the US, urban wetlands, such as the Olentangy River Wetland Research Park in Columbus, Ohio, USA, have served as flood buffers. In the mid-2000’s, during a particularly heavy spring rainfall event that also melted snow, the president of The Ohio State University called the scientists at the research park to inquire whether the wetlands of the Olentangy River Wetland Research Park could absorb the expected flood waters and, thereby, protect the University and downtown Columbus. In response, the connections between the experimental wetlands and the adjacent Olentangy River were opened. The excess water was diverted from the river into the wetlands, flooding the 50-acre research park and resulting in no consequences to the downstream campus and city center nor to the park. Disclaimer: This document has been reviewed by the US Environmental Protection Agency, Office of Research and Development and approved for publication. The views expressed in this article are those of the author(s) and do not necessarily represent the views or policies of the U.S. Environmental Protection Agency. Adamus, P.R. 1983. A method for Wetland Functional Assessment, Vol I: Critical Review and Evaluation Concepts and Volume I: FHWA Assessment Method. US Department of Transportation, Federal Highway Administration Reports FHWA-IP-82-23 and FHWA-IP-82-24, Washington, DC. Bartoldus, C.C. 1999. A Comprehensive Review of Wetland Assessment Procedures: A Guide for Wetland Practitioners. Environmental Concern, Inc., St. Michaels, MD. For an example of state wetland monitoring and assessment program see http://www.dnr.state.mn.us/eco/wetlands/index.html for information on what is done in the State of Minnesota. For information on the USEPA National Aquatic Resource Surveys see https://www.epa.gov/national-aquatic-resource-surveys. Also see answer to Question 2. Brinson, M. M. (1993). A Hydrogeomorphic Classification for Wetlands. Vicksburg, MS: U.S. Army Corps of Engineers, Waterways Experiment Station. Winter, T. C. (2001). The concept of hydrologic landscapes. Journal of the American Water Resources Association, 37(2), 335-349. Bedford, B. L. (1996). The need to define hydrologic equivalence at the landscape scale for freshwater wetland mitigation. Ecological Applications, 6(1), 57-68. Wolock, D. M., Winter, T. C., & McMahon, G. (2004). Delineation and evaluation of hydrologic-landscape regions in the United States using geographic information system tools and multivariate statistical analyses. Environmental Management, 34 (Suppl 1), S71-S88. Kentula, M. E., Gwin, S. E., & Pierson, S. M. (2004). Tracking changes in wetlands with urbanization: sixteen years of experience in Portland, Oregon, USA. Wetlands, 24(4), 734-743. Smith, R. D., Ammann, A., Bartlodus, C., & Brinson, M. M. (1995). An Approach for Assessing Wetland Functions Using Hydrogeomorphic Classification, Reference Wetlands, and Functional Indices. Vicksburg, MS, USA: U.S. Army Corps of Engineers, Waterways Experiment Station. Brooks, R. P., O’Connell, T. J., Wardrop, D. H., & Jackson, L. E. (1998). Towards a regional index of biological integrity: the example of forested riparian ecosystems. Environmental Monitoring and Assessment, 51(1-2), 131-143. Mack, J. J. (2006). Landscape as a predictor of wetland condition: an evaluation of the Landscape Development Index (LDI) with a large reference wetland dataset from Ohio. Environmental Monitoring and Assessment, 120(1-3), 221-241. Fennessy, M. S., Jacobs, A. D., & Kentula, M. E. (2007). An evaluation of rapid methods for assessing the ecological condition of wetlands. Wetlands, 27(3), 543-560. According to Karr and Chu (1999) a metric is an attribute or measureable feature of the taxa group being evaluated that is selected for inclusion in the assessment method, an IBI in this case. Karr, J. R., & Chu, E. W. (1999). Restoring Life in Running Waters: Better Biological Monitoring. Washington, D.C.: Island Press. Karr, J. R., Fausch, K. D., Angermeier, P. L., Yant, P. R., & Schlosser, I. J. (1986). Assessing biological integrity in running waters: a method and its rationale. Champaign, IL: The Illinois Natural History Survey. Mack, J. J., & Kentula, M. E. (2010). Metric Similarity in Vegetation-based Wetland Assessment Methods. Washington, DC: US Environmental Protection Agency, Office of Research and Development. USEPA (2016). National Wetland Condition Assessment 2011: Technical Report. Washington, DC: U.S. Environmental Protection Agency. https://www.epa.gov/national-aquatic-resource-surveys/national-wetland-condition-assessment-2011-technical-report. Wardrop, D. H., Kentula, M. E., Stevens, D. L., Jr., Jensen, S. F., & Brooks, R. P. (2007). Assessment of wetland condition: an example from the Upper Juniata Watershed in Pennsylvania, USA. Wetlands, 27, 416-430. Wardrop, D. H., Kentula, M. E., Jensen, S. F., Stevens, D. L., Jr., & Brooks, R. P. (2007). Assessment of wetlands in the Upper Juniata watershed in Pennsylvania, USA, using the hydrogeomorphic approach. Wetlands, 27(3), 432-445. Stoddard, J. L., Larsen, D. P., Hawkins, C. P., Johnson, P. K., & Norris, R. H. (2006). Setting expectations for the ecological condition of streams: the concept of reference condition. Ecological Applications, 16(4), 1267-1276. Nassauer, J. I. (2004). Monitoring the success of metropolitan wetland restorations: cultural sustainability and ecological function. Wetlands, 24(4), 756-765. Ducher, D. D., Finley, J. C., Luluff, A. E., & Johnson, J. (2004). Landowner perceptions of protecting and establishing riparian forests: a qualitative analysis. Society and Natural Resources, 17, 329-342. Hull, R. B., Robertson, D. P., & Kendra, A. (2001). Public understandings of nature: A case study of local knowledge about “natural” forest conditions. Society and Natural Resources, 14: 325-340. Nassauer, J. I. (1988). The aesthetics of horticulture: neatness as a form of care. HortScience, 23, 973-977. Prince, H. C. (1997). Wetlands of the American Midwest: A Historical Geography of Changing Attitudes. Chicago, IL: University of Chicago Press. Brinson, M. M. (1993). A Hydrogeomorphic Classification for Wetlands. (pp. 79). Vicksburg, MS: U.S. Army Corps of Engineers, Waterways Experiment Station. Gwin, S. E., Kentula, M. E., & Shaffer, P. W. (1999). Evaluating the effects of wetland regulation through hydrogeomorphic classification and landscape profiles. Wetlands, 19(3), 477-489. Shaffer, P. W., Kentula, M. E., & Gwin, S. E. (1999a). Characterization of wetland hydrology using hydrogeomorphic classification. Wetlands, 19(3), 490-504. Shaffer, P. W., & Ernst, T. L. (1999b). Distribution of soil organic matter in freshwater emergent/open water wetlands in the Portland, Oregon metropolitan area. Wetlands, 19(3), 505-516. Magee, T. K., Ernst, T. L., Kentula, M. E., & Dwire, K. A. (1999). Floristic comparison of freshwater wetlands in an urbanizing environment. Wetlands, 19(3), 517-534. See Gwin et al. listed in footnote 27 for more on this topic. Also it is important to note that bullfrogs in western Oregon appear to be adapting to the wet-dry patterns in western Oregon and no longer require perennial standing water to reproduce. Thus, the bullfrogs are even more competitive with the native amphibians which use the drier wetlands. Felson, A. J., & Pickett, S. T. A. (2005). Designed experiments: new approaches to studying urban ecosystems. Frontiers in Ecology and the Environment, 3(10), 549-556. Steiner, F., Simmons, M., Gallagher, M., Ranganathan, J., & Robertson, C. (2013). The ecological imperative for environmental design and planning. Frontiers in Ecology and the Environment, 11(7), 355-361, doi:10.1890/130052. Kaushal, S. S., Groffman, P. M., Mayer, P. M., Striz, E., & Gold, A. J. (2008). Effects of stream restoration on denitrification in an urbanizing watershed. Ecological Applications, 18(3), 789-804, doi:10.1890/07-1159.1. Riley, A. L. (2016). Restoring Neighborhood Streams: Planning, Design, and Construction. Washington, DC: Island Press. See answers to questions 2 and 5 for more information on wetland mitigation and the Portland study. See https://senr.osu.edu/research/schiermeier-olentangy-river-wetland-research-park for more information on the Olentangy River Wetland Research Park. See http://www.ramsar.org/sites-countries/the-ramsar-sites for information on Ramsar sites. Hassol, S. J. (2008). Improving how scientists communicate about climate change. Eos, 89(11), 106-107. Metz, T. and M. van den Heuvel. 2012 Sweet & Salt: Water and the Dutch. nai010 publishers, Rotterdam, The Netherlands. See question 7 for more on the Olentangy Wetland Research Park.